Modification means change. When life takes unexpected turns, your original divorce decree for child support and custody arrangements may no longer be workable or realistic. When you need to modify a previously issued court order, the Kramer Law Firm is there to help you. To make changes to the original court order successfully, you will need to show that your circumstances have substantially and materially changed. You are essentially asking the court to issue a new order based upon this change. In all matters where children are involved, the courts will base their decisions upon the best interest of the child. A key portion of our practice is devoted to helping divorced parents change the terms of their divorce through Florida child support modification, and changes to child custody and parenting plan orders. 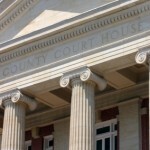 We have extensive experience in family courts in Orlando and throughout Central Florida. Child support is always subject to future modification. 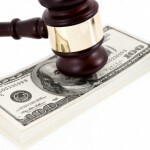 New developments in your life may call for revisions in child support payments. You may have lost your job or experienced an increase or decrease in your pay; there may have been a change in custody orders; your child may need to attend college, or have sudden major medical bills. These are all good reasons to speak with a Florida child support modification lawyer. Public policy is that children must be adequately supported to the extent and ability of their parents to contribute to their support. In Florida, child support modification is regulated by specific Child Support Guidelines. Our attorneys will answer your questions and help you understand if, due to your new circumstances, you are eligible for modification of child support. New Florida laws concerning time-sharing can have a huge impact on older child support orders. In the past, the paying parent had to have 40% time-sharing (146 overnights) or more in a year, in order to reduce their child support obligation in any way. Now, 20% timesharing (73 overnights) a year will reduce the child support obligation. In addition, Florida courts take the view that 50/50 time-sharing between both parents is in the best interest of the child. Judges will grant changes to child support only after hearing a strong argument based on facts and the law. The Kramer Law Firm will gather and prepare the financial documentation and records essential in Florida child support modification, and present your case to the court in the best possible way to ensure that you obtain the necessary changes. Issues of shared parental responsibility and visitation are always subject to modification. The parent seeking the custody change has the burden to show the court that the change in circumstances is so substantial that the well-being of the children will suffer if a change in custody is not made. 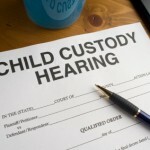 Many situations may support changes to child custody orders. You may have a justifiable need to relocate outside of Florida. Child custody modification may be allowed if you have reasonable cause to believe that your child is in danger when with the other parent, where this was not evident before. You may also challenge a proposed modification entered by your spouse. Every custody case is unique and will be determined in accordance with the facts of your particular case and considering the best interest of the child. Our attorneys are well-equipped to handle the most complex Florida child custody modification matters. Do not be tempted to make changes on your own. Florida child support modifications, as well as child custody and visitation orders are made by the court, and must be changed through the court. Even if you and your ex-spouse informally “agree” to make a change, you are in violation of a court order – a fact that could be used against you by an unhappy spouse in a future dispute. A parent obligated to pay support will continue to be bound to pay until there is an order from the Court modifying the amount of child support due. Usually, a reduction or increase in child support will be retroactive to the date that the Petition for Modification is filed. Therefore, it is important to get the clock started and lock the date in – if there is a change in circumstances be sure to hire a modification attorney and get a child support modification filed sooner rather than later. Florida child support modification, child custody plans and alimony are interrelated, and none of them are set in stone. A change to child support or parenting time can quickly affect the existing arrangements for child custody or alimony. Come to the Kramer Law Firm to discuss your options with an experienced family law attorney.